NEW ORLEANS, May 9, 2017 /PRNewswire/ -- Republic Services, Inc. (NYSE: RSG) is pleased to announce that collection drivers Jesse Peña and Javier Verduzco were recipients of prestigious Driver of the Year awards in the large industrial and large commercial truck categories, respectively. The National Waste & Recycling Association (NWRA) celebrates the industry's best drivers each year with the distinguished recognition based upon exemplary safety records and customer service. Both drivers were honored this morning in New Orleans at WasteExpo, North America's largest annual waste industry tradeshow. "Safety is the foundation of our business and the cornerstone upon which our initiatives and programs are built," said Don Slager, president and chief executive officer. "It is why we have established a best-in-class driver training program that enables our more than 15,000 drivers across the country to continually improve. It is fundamental to our commitment to customers and how we make a positive impact each day in the communities we serve. On behalf of Republic and our 33,000 employees, I am proud to congratulate Jesse and Javier, and their families, on this extraordinary recognition." Mr. Peña and Mr. Verduzco were selected from approximately 1,000 driver nominations submitted by industry peers from across the country. Since 2009, Republic Services drivers have won 75 percent of the NWRA's Driver of the Year awards, in the large truck categories. Republic's relentless commitment to safety led to the formation of a comprehensive, industry-leading safety program that relies on continual training to reduce accident frequency. 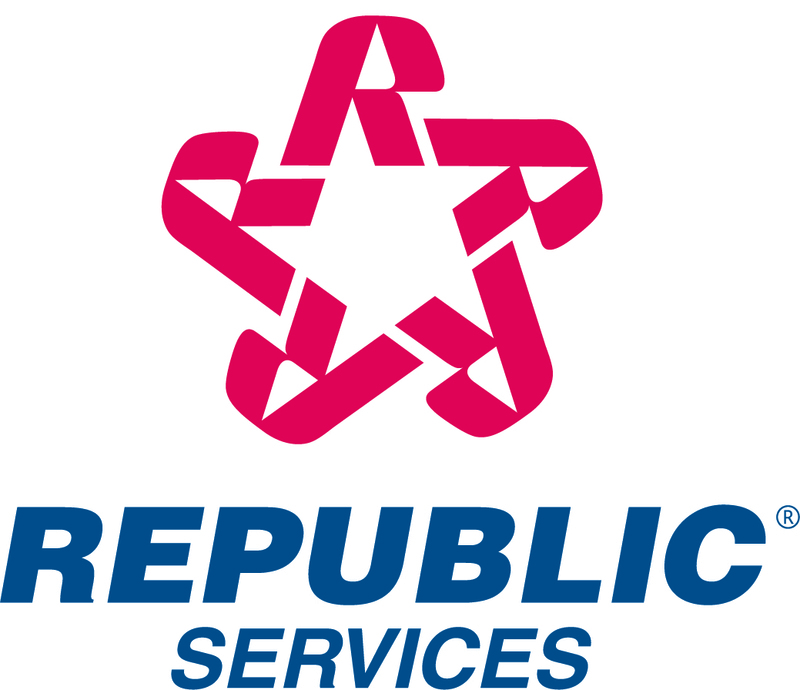 Last year, more than 12,000 employees earned Republic's Dedicated to Safety Award, and roughly 5,000 employees received Dedicated to Excellence recognition. Based on Occupational Safety and Health Administration (OSHA) data, Republic's safety performance has been 41 percent better than the industry average over the past eight years. For 26 years, the NWRA Driver of the Year program has honored drivers who have upheld the field of solid waste management as an honorable occupation, and have conducted themselves and the vehicles they operate in a safe and responsible manner. Mr. Peña has devoted more than 35 years of service to the industry. He began his driving career with Republic in Phoenix, Ariz., in 1994. Over the past 23 years, Jesse has maintained a perfect safety record, with zero accidents or injuries. Among his customers and coworkers, Jesse is known for prioritizing safety. He has been the recipient of Republic's Dedicated to Safety Award and Dedicated to Excellence recognition since 2005. Jesse is also considered a leader and role model for fellow drivers, both as a direct supervisor and mentor for new drivers, inspiring team members to approach the day with a positive attitude, commitment to excellence and willingness to always go above and beyond for customers. His many customers credit Jesse for his great service, attitude and focus on safety. Even in Valley communities that are experiencing rapid population growth, Jesse knows many of his customers personally, interacting with them on a first name basis. Jesse is a proud husband, father of eight, grandfather of 25, and great grandfather of three. He drives an average of 660 miles per week, in the service of more than 60 municipal customers, collecting over 280 tons of waste. Mr. Verduzco began his driving career with Republic Services' Huntington Beach division in 1980. Over the past 37 years, he has earned and maintained an impeccable safety record, with zero accidents or injuries. Javier is relentless in his commitment to continual safety training. He is a recipient of Republic's Dedicated to Safety Award and Dedicated to Excellence recognition. He is also known for actively seeking out and participating in Republic's Focus 6 safety program, as well as OSHA safety exercises. Within his division, Javier has established a reputation as a selfless team member. He mentors and encourages fellow drivers. He volunteers to go back out and assist other drivers upon completing his route, and he offers help his fellow drivers serve customers on busy weekends. Javier also places a high priority on his customers and community. His customers credit Javier for his reliable service and great attention to detail, frequently checking to ensure their satisfaction. In his community, Javier is dedicated to service at his church, often leading and participating in retreats and programs. Javier is a devoted husband, father and grandfather. He drives an average of 220 miles per week, in the service of more than 600 customers, collecting over 95 tons of waste.